On a dull April morning we departed on our best behaviour under the watchful eye of our Chairman. Reaching the summit of the Pennines, the sun burst out strongly to greet us, by which time we were ready for our coffee and a delicious scone at Mrs. Miller’s Tearoom, a converted station hall. Arriving at Isel Hall we were greeted by a rather fetching pink Pele tower, and the doughty Miss Mary Burkett, the current owner. She gave us an enthusiastic welcome on the rear terrace, especially on hearing that we were from Durham; having studied at our university, and had some memorable experiences teaching in Sunderland. A fascinating tour revealed the long and intricate history of the Hall, together with the multitude of Miss Burkett’s trinkets and keepsakes from around the world, in particular from Mongolia and China. Of specific interest to Miss Burkett were the articles made from felt, including pictures, panels, rugs, coats and cushions. Linenfold panelling was located in the Great Hall, together with faint, but clearly discernible painted panels, which included figures and family crests. A portrait of King Charles in the Great Hall was matched by Cromwell in the Entrance Hall – perhaps a hedging of bets by the Lawson family; a pun on whose name is represented by their crest of the sun supported by the arms of the law! Finally we toured the Pele Tower, rebuilt after a Scottish raid of 1388, and even today unable to repel the marauding Scots, bearing in mind that Alex Salmond had visited the area on the previous day. 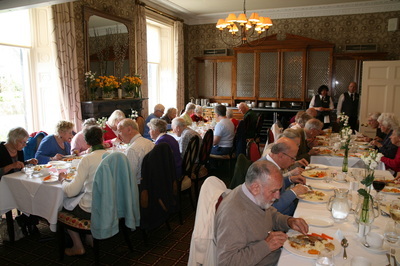 Travelling on to Cockermouth, we were treated to a delightful and convivial lunch at the Trout Hotel, whose tables were bedecked with linen napkins and Lisianthus. 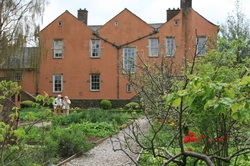 In complete contrast to Isel Hall and its unique lived-in atmosphere, Wordsworth House, the birthplace of the bard in 1770, had more of the feel of a museum, with its sparsely furnished rooms. A harpsichord tinkled in the drawing room, and the rear of the house enjoyed fine views over the formally laid-out gardens to the river and beyond. 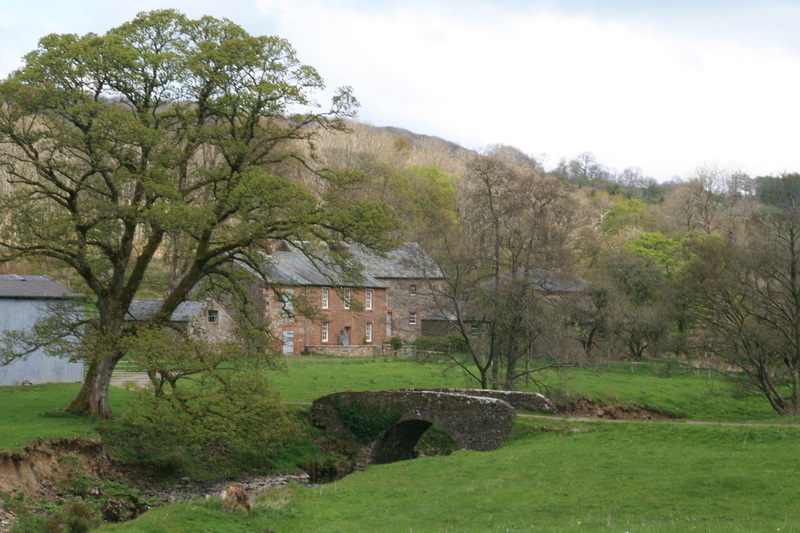 The return drive in the spring sunshine was delightful. Thanks were expressed by all to Douglas Shearer for organising a fascinating and varied outing.